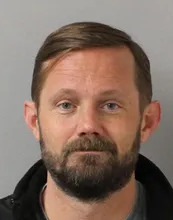 (Newser) – Joel Boyers was removed from the JW Marriot bar in Nashville on Monday and charged with public intoxication and possessing a firearm while intoxicated, but some people there will still remember him fondly: Before he was arrested, he tipped his servers $22,000. Police say they were contacted by the 39-year-old's worried friends after he sent them bizarre text messages about drinking with a gun, taking drugs that "increased his intelligence," and giving away his child on Facebook, the Tennessean reports. When police arrived at the hotel, staff told them that Boyers had caused disruption with his gigantic tips because servers, unsurprisingly, were competing to wait on him. public intoxication and possessing a firearm while intoxicated,. Dude did nothing apparently wrong , other having a gun in a bar, which he kept concealed unknown on his person at this bar. Being intoxicated in a bar is to be expected , the commotion cause by his tipping ? LOL , Saying he was drunk and stoned while in a bar? LOL. These charges are a joke and it is obvious he can pay the small fines easily. The only serious penalty might be a revocation of his concealed weapons license, which it seems probable he had. He should be really mad at his "friends" , calls like this can lead to those police shooting people out of hand. Luck of the draw as to the competence and attitude of the officer's involved. "...more than a dozen drinks from the hotel minibar". Yikes! The regret he feels over the tips when he sobers up will be nothing compared to the sticker shock when he sees the hotel bill! Obviously a guy that was very tipsy.